Gather a larger stock pot and melt your butter on medium heat. Dice bacon, add to pot and cook it down on medium heat until golden brown. Dice celery, combine with diced onion and sauté until translucent. Add garlic, bay leaf, thyme and flour to soak up the butter. Deglaze the pot with white wine, add clam juice, cream, milk and diced peeled Yukon Gold potatoes. Bring all ingredients to a boil, reduce heat to low and let simmer for 1 hour or until potatoes are completely cooked through. The longer you cook it the thicker it will get. 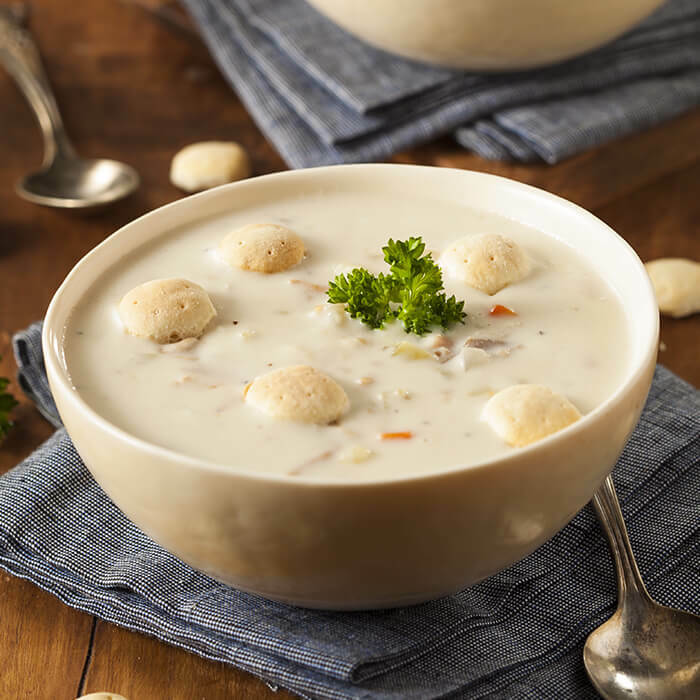 Once potatoes are soft and chowder is thick, add diced clams, salt and pepper to taste.